I have been reading the Share Your World posts across the blogosphere for years now. Each week for this challenge, Cee poses a few questions which bloggers answer. The challenge is an interesting way to get to know a person. This morning, I thought I would write a response and see how my readers enjoy it. Let me know what you think – I know that I enjoy reading the responses of a number of bloggers I follow. I am not one to make practical jokes. The only time I ever remember doing so was when my sisters and I, as kids, would try to trick our parents on April Fool’s day. I do enjoy a good joke, though, as long as it does no physical or emotional harm to a person. While growing up, my mom always cut my hair. She had been trained in the art of cutting hair and we were lucky that she used her skills in shaping and styling our locks. Now that I no longer live in the same city as her, I have tried many hairdressers until I have found one who follows my instructions, and does a good job cutting my hair at every visit. I do not recall having one. This is something I would have to speak about with my mom but if I did have one, I am sure it would have been mentioned by now (especially as my children had a favourite they carried around with them everywhere). 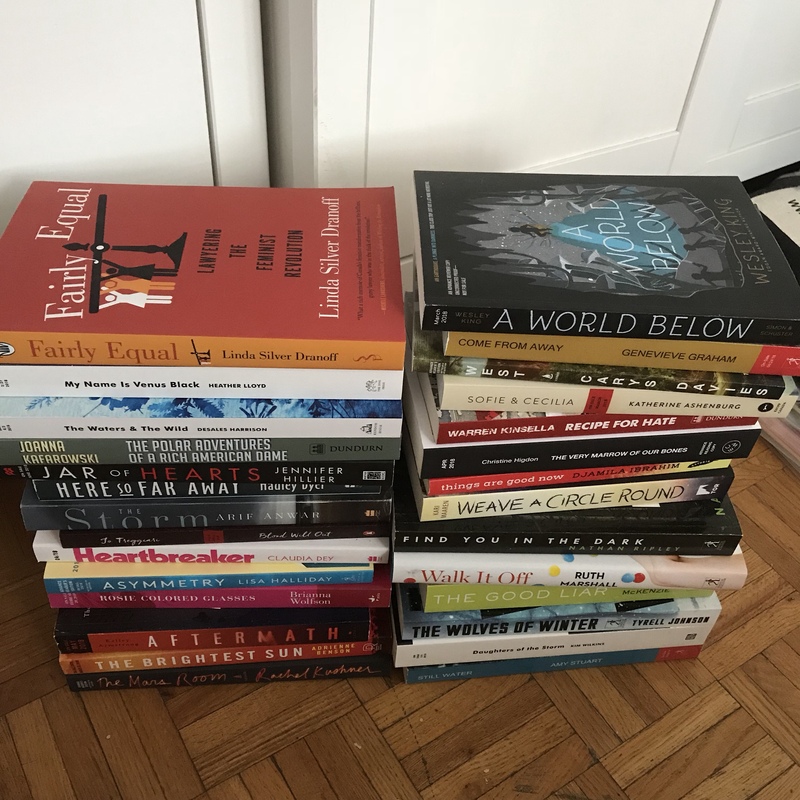 This past week I tried to find a place for all the books I received when I went to the Ontario Library Association’s Super Conference. Looking at the copies, I could not help but smile as they reminded me of what a super day I had. In the end, I placed them in every available place I have on my bookshelf. My shelves no longer look neat, but my aim is to read the books on them and then pass them onto someone (with the exception of those copies I would enjoy reading again). Did you enjoy reading my responses to Cee’s questions this week? I’ve been doing Share Your World for years. It’s a great way to let your readers know some things about you that you might not think about including in your regular posts. I don’t remember owning a favourite stuffy either. I never thought readers would be interested in my answers. Then I realized how many of these posts I read and how much it adds to my knowledge of the blogger. Lovely to learn more about you, Colline. Thank you. I think I will continue with this challenge.